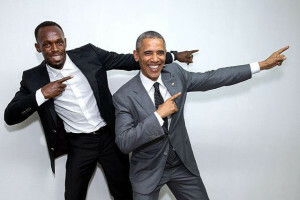 Until now Usain Bolt’s influence was only theorized, but yesterday it was made official; “Time“ in fact, updated the list of the most influent 100 people in the world adding, among the others, the Jamaican Olympic champion. If athletics in the past few years is experiencing a slight rise in the world, and many kids seem to be more and more motivated to start the athlete career, part of the merit surely goes to Bolt. A lot of people come to the stadium only to see him, the rating peaks during the manifestations happen when “the lightning” is on the track and he has millions of fans outside the world of athletics too. This is the umpteenth prize in Bolt’s career, who still has to decide if he wants to continue his career after the Oympics, and we hope this would be the right push to go below the 19” in the 200mt.